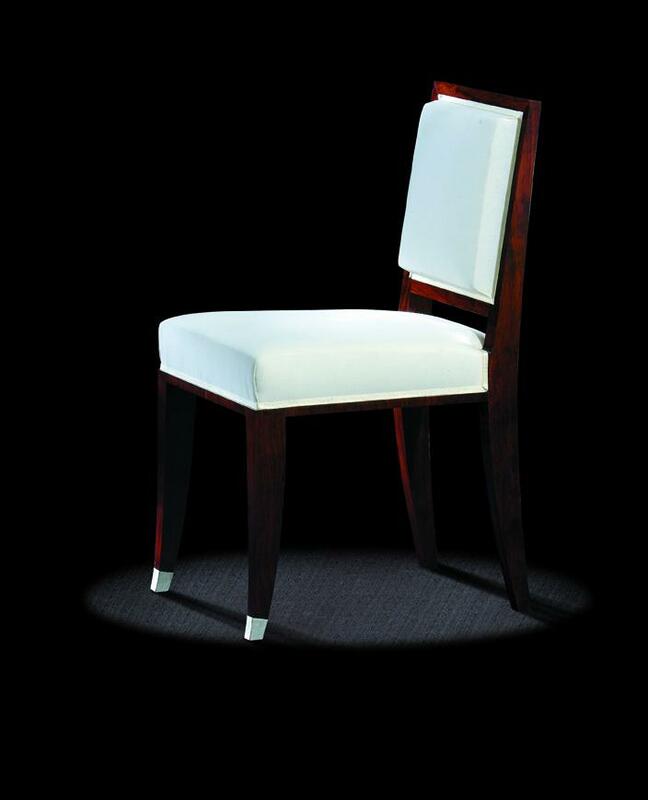 Here is a chair strong in line, developed on a lateral plan with a much sought after back. One can see how the side dimension allows the form of the rear legs to exist in this altogether spotless design. It is possible to connect this chair with a series of chairs made in cious wood at the workshop of the cabinet-maker Leleu. This purity in design is quantified in the silver ending shoes of the front feet. This beautiful chair is not limited to the 1930’s period of style but can be incorporated into a refined contempo- rary look.